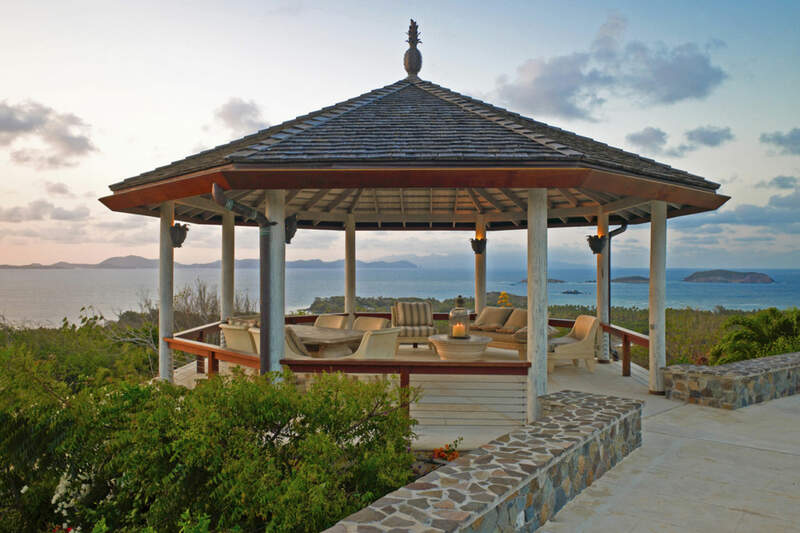 Outdoor structures are multi-functional and multi-seasonal additions to an exterior living space. These features provide protection from the elements, define space, and offers refuge from the stresses of daily life. 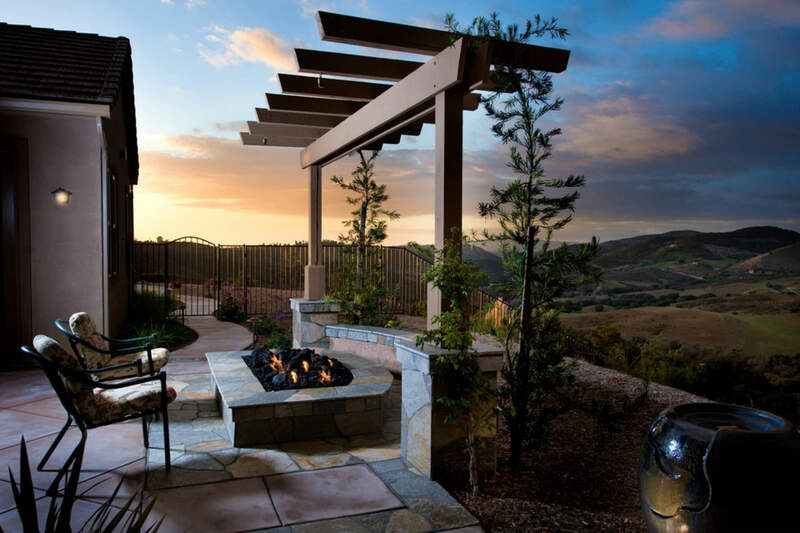 Incorporating these bold features into an outdoor design has become second nature for those designers, architects, and homeowners seeking different ways to prolong the convenient enjoyment of the outdoors. Listed below are several structures that work well in any outdoor space. Depending on the goals of your design, you may want to choose a structure that can be utilized in a variety of different ways and times. Pergolas are free standing structures with posts or columns that typically support an open roof of trelliswork with open sides. You can train vines or other plants to climb the structures for extra charm or add a retractable canopy for additional protection from the weather. To create a private retreat, consider pergola curtains to add a touch of romance and style. 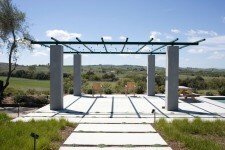 Pergolas are usually confused with a trellis or arbor, but in fact, there are some major differences between the three. Add charm to your garden area with a trellis. This particular structure has an open framework or lattice that is commonly used to support climbing plants. These structures can be built from wood, vinyl, or metal and may be freestanding or attached to the home. Trellises can be used to designate outdoor rooms and provide an extra layer of privacy. 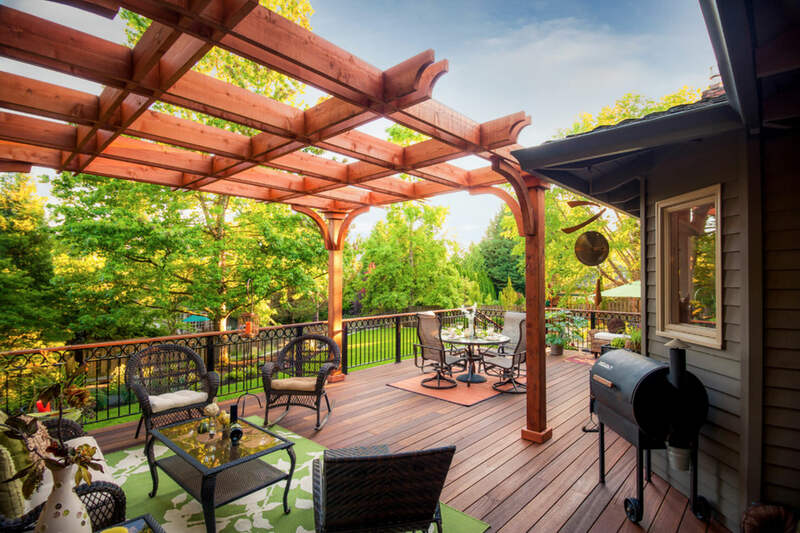 Arbors are smaller than pergolas or trellises. 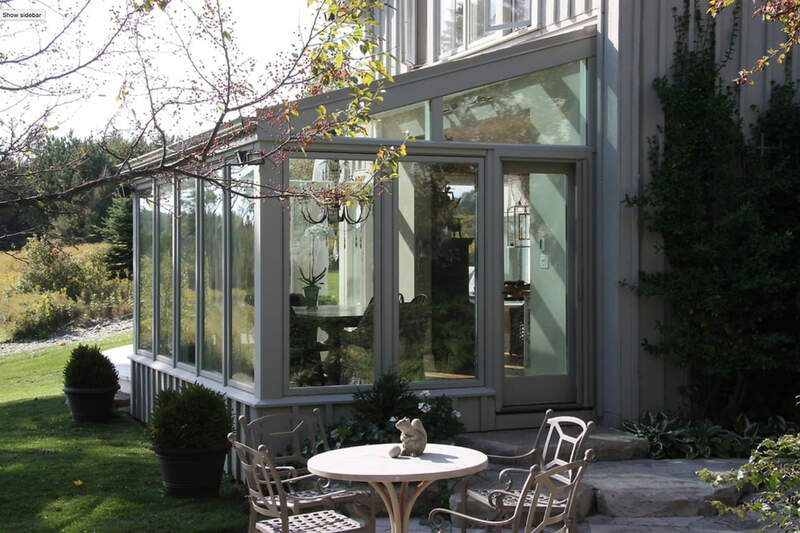 These structures can be used to define a point of entry, divide different outdoor rooms, or frame a focal point in your garden. 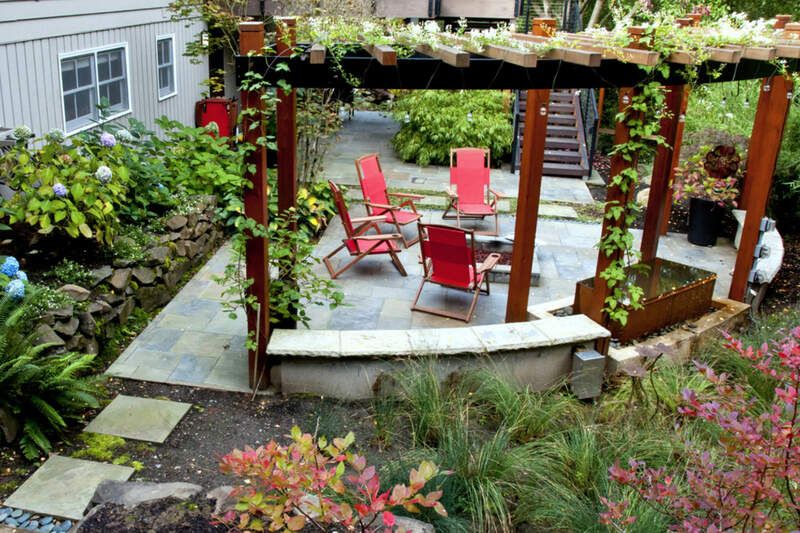 Arbors are often made of rustic metal or lattice on which plants, such as climbing vines or roses, take on new heights. 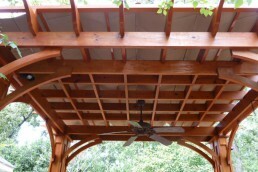 Patio covers are attached to the home and may have a solid roof or one built with trellis or lattice. With a patio cover, you can entertain and enjoy the outdoors year-round, add living space to your home, and keep energy costs down during hot summer months by preventing solar heat from entering your home. A gazebo is a free standing, octagonal structure with a solid roof and open sides providing full shade with unobstructed views. 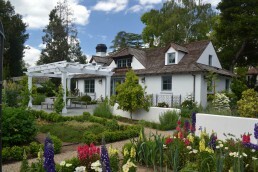 These structures are most commonly used in traditional English or French style gardens. 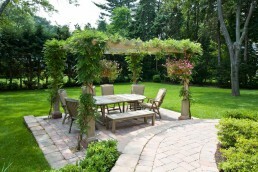 Gazebos create a perfect place to enjoy nature and gather with friends, neighbours, and family. 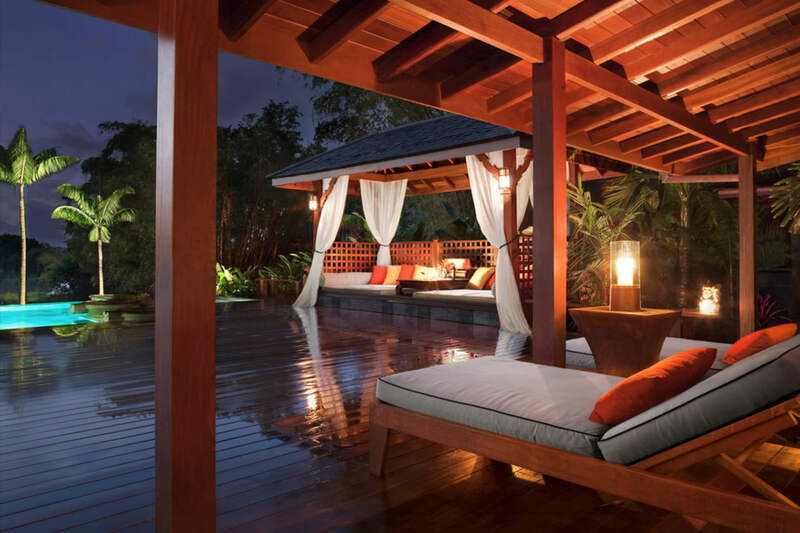 Some homeowners use gazebos to create an intimate dining area, add a hot tub, or screens to keep insects away. 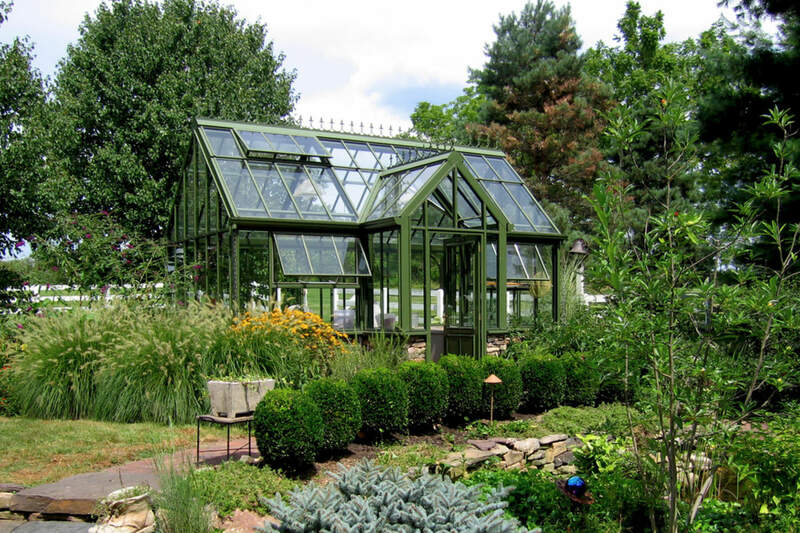 Greenhouses are a dream come true for dedicated gardeners who wish to practice their art year-round. If you enjoy propagating seeds and cuttings and growing a variety of plants in any season, this may be at the top of your wish list. These structures come in a wide variety of styles and sizes can be made from aluminum, galvanized steel, or wood. Walls are usually constructed from glass, film plastic, or rigid plastic. Pavilions are generally larger than gazebos or pergolas. Typically, these architectural structures have covered roofs and provide ample space for bigger parties and events. A gentle summer rain won’t interfere with your entertaining plans and you can enjoy cool summer breezes with the open air design. Want to enjoy dining outdoors without flies landing on your hamburger? Screened porches can provide a place to entertain friends and family, enjoy nature without annoying insects, and provide a safe and fun play area for children. These structures are attached to your house usually next to a back door for easy access. 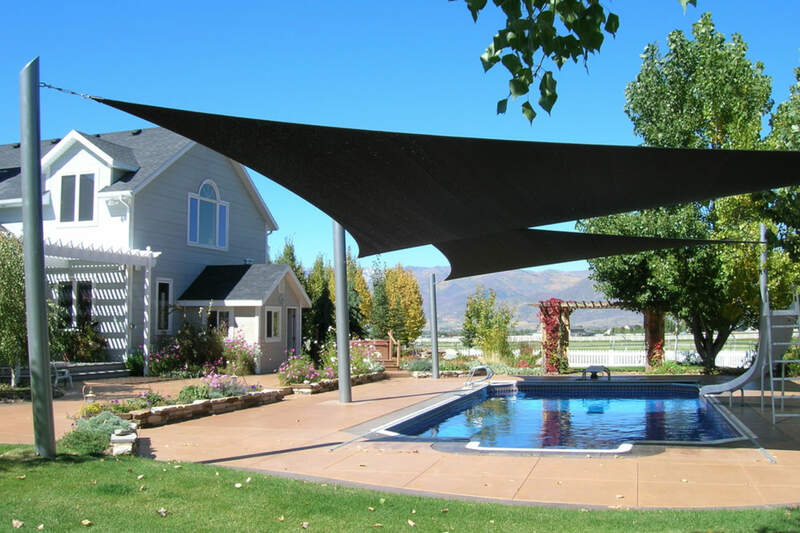 Shade sails are a modern and elegant way of offering relief from the sun. Fabric is stretched across specially-engineered poles to accent and provide shade to a seating area or patio. Shade sails tantalize the eye with straight lines and geometry and contribute to the decorative and artistic aspect of your outdoor space. A wide variety of shapes, sizes, and colors are available. A cabana compliments a pool area and provides a covered area to stay cool on hot summer days. These structures can also be used as a changing room and usually include outdoor drapes. Customarily, cabanas provide a lounging area for poolside snacking and relaxing; however, cabanas can serve a multitude of functions. 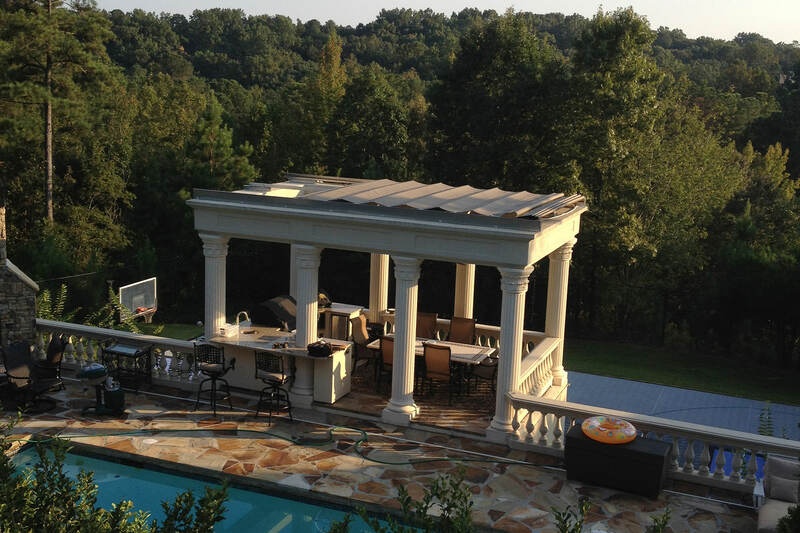 Some homeowners use these versatile structures for entertainment purposes and add a kitchen and/or dining area. Click here to see how the biggest Toronto hot spot uses cabanas in their own urban paradise. Retractable canopies can be added to most, if not all structures. This includes pergolas, arbors, and latticed or trellised patio covers. Depending on your comfort level, this flexible cover option can be either motorized or manual. Either way, when extending or retracting your canopy, the process is effortless. Available in a wide variety of fabric choices to match your home décor, retractable canopies can make any outdoor space more functional, fashionable, and comfortable. 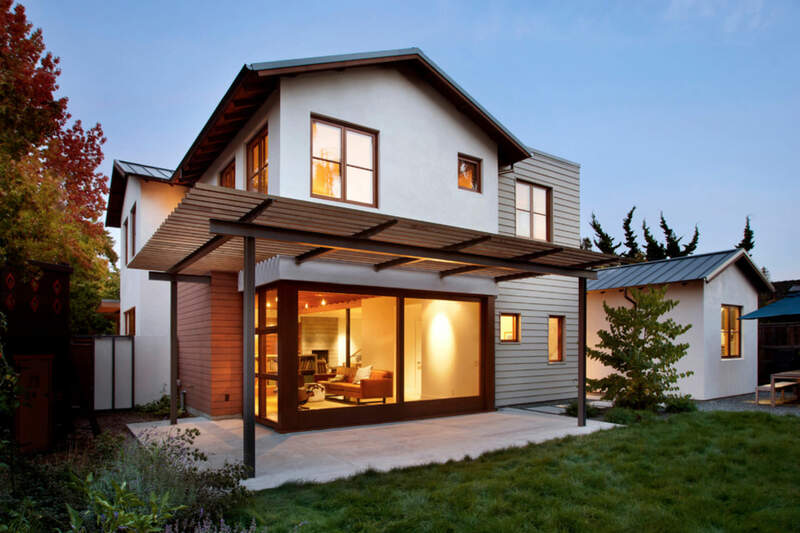 Another new innovative product manufacturers have recently begun marketing to homeowners are retractable roofs. 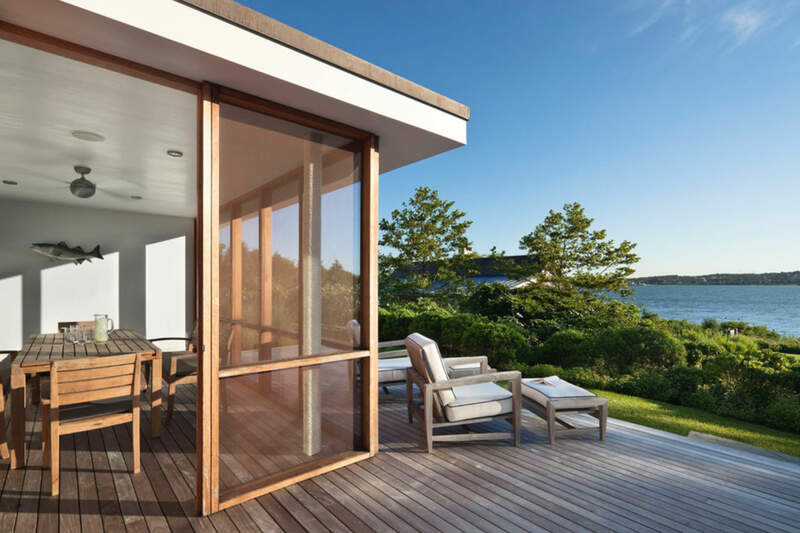 This technology is quickly catching on as a way to provide UV, wind, and rain protection and allow homeowners to enjoy their outdoor space regardless of the weather. These products can even be integrated with home automation systems to provide control as needed. 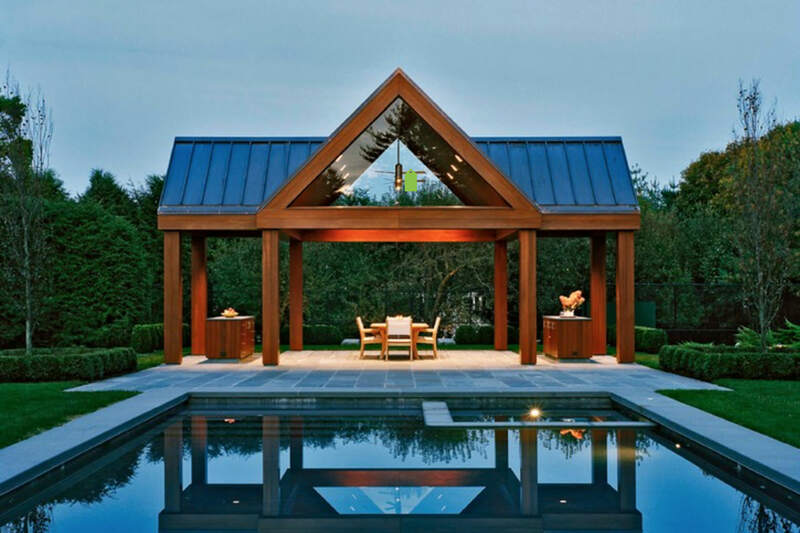 Outdoor structures are important to maximize and utilize an outdoor living space to its best advantage. Consider what type of overhead structure is suitable for your individual needs and wants. Adding any one of these structures will contribute to a comfortable and stylish outdoor retreat that you and your family can enjoy year round. What do you call a small rain/weather shelter like at a train station on the platform? Those are typically called ‘cantilever’ structures. What do you call the structure (or manufacturer) that covers most Lowes outdoor garden centers? Looks like galvanized poles and support with ridged plastic top. Hi Ivan, you’re likely referring to an A-Frame structure with polycarbonate paneling.